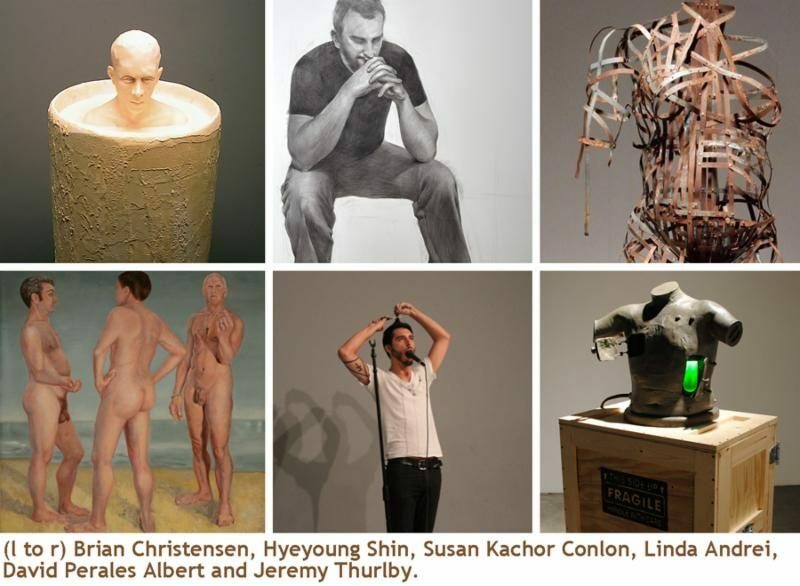 This month ARC Gallery is featuring a group exhibit selected by Dan Addington of Chicago’s Addington Gallery with a theme based on a contemporary look at the human figure. In addition, last year’s drawing show first-place winner, Jack Nixon, will display the wide variety of his intricate drawings. The exhibition It Figures: The Body in Art is a contemporary examination of the human figure- historically a major focus of artists. All societies have created their own concepts for how to portray the human body. These concepts are reflected and challenged in artists’ representation of the human figure. This exhibit will examine contemporary society’s and artists’ views of the human body in all of its manifestations. At 7:30 on the evening of the opening reception, Friday, June 24, please join us for a performance work presented by David Perales Albert. Selected exhibiting artists: Andrew Ackerman, Dohgyoung Ahn, Kiley Ames, Linda Andrei, Susan Case, Ashley Cassens, Yong Chen, Brian Christensen, Joe Ciaccio, Mark Dierker, Silvana D’Mikos, Mark Franz, Ghislaine Fermaux, Charity Henderson, Annick Ibsen, Susan Kachor Conlon, Martin Keey, Axelle Kieffer, Pamela Lee, Anna Liljas, DeCarlo Logan, Sarah Lovitt, Casey Lowry, Dan McCormack, Jennifer McNulty, Bobbi Meier, Erik Ohrn, Caroline Owen, David Perales Albert, Aldo Romeo, Ann Rosen, Judith Roth, Jessica Sebok, Amanda Shaw, Hyeyoung Shin, Alecia Teague, Jeremy Thurlby, Jac Tilton, Krista Varsbergs, Xiao Wang and Sun Yun. Join our mailing list to keep up to date with the ARC Gallery.